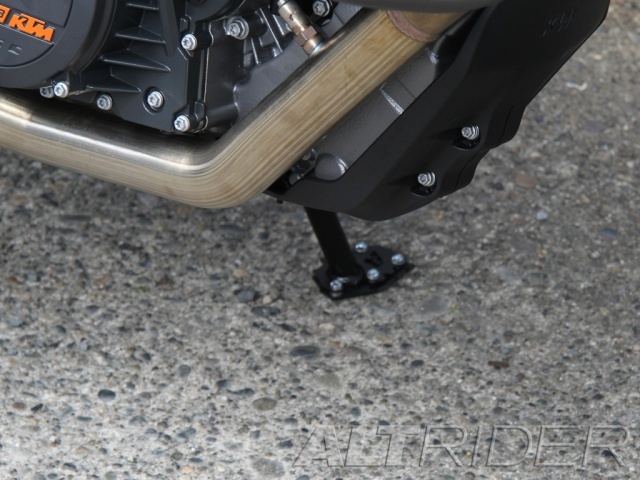 The KTM provided a unique challenge because of the thin profile of the stock stand. 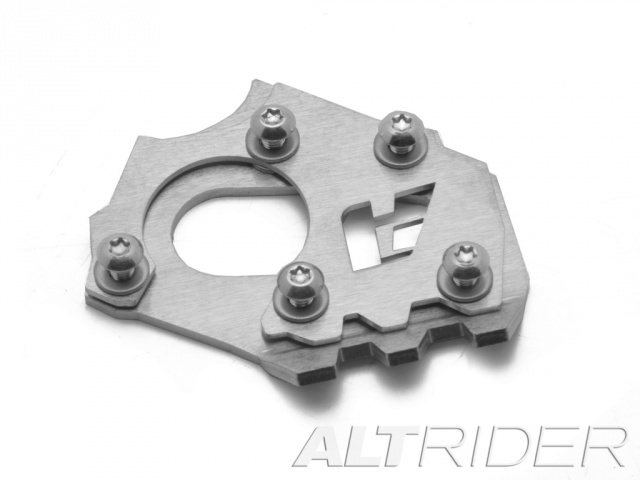 This led to a completely new 3 piece design. 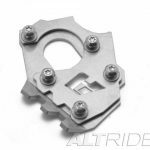 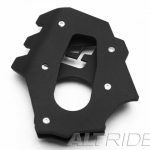 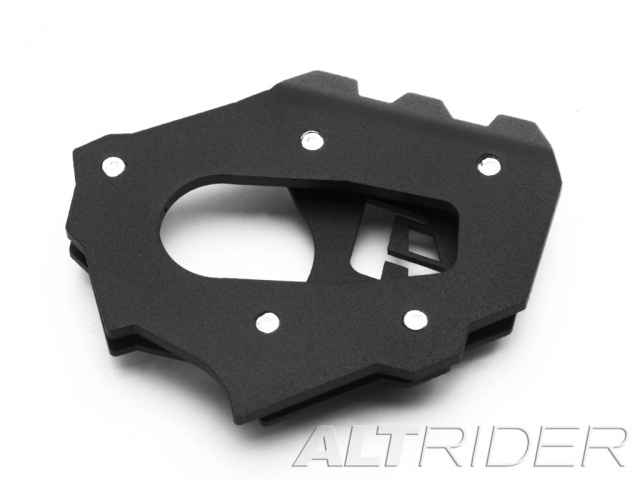 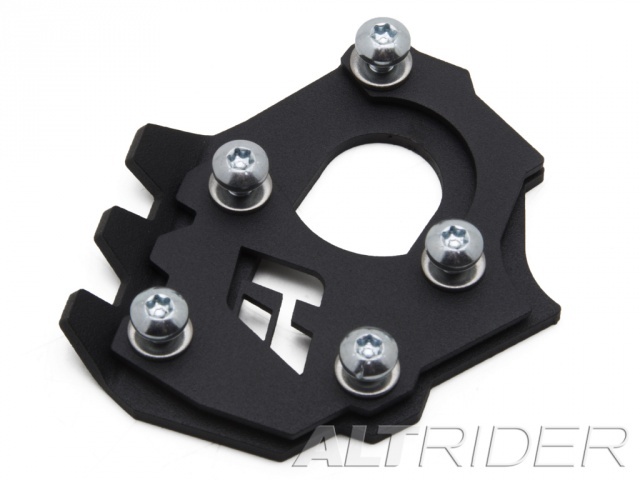 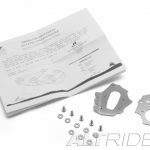 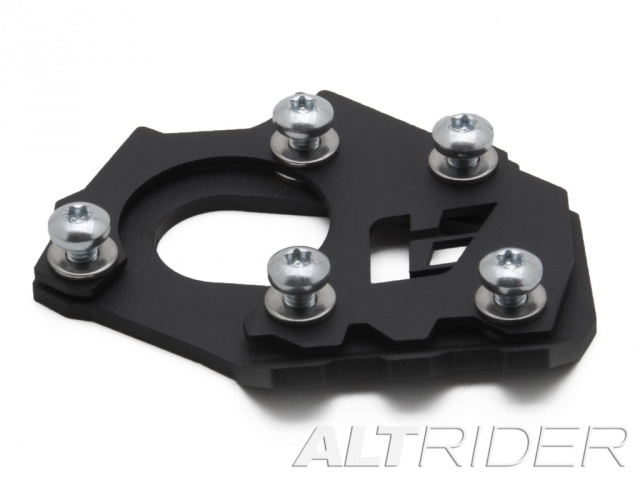 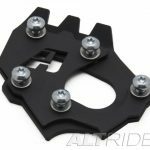 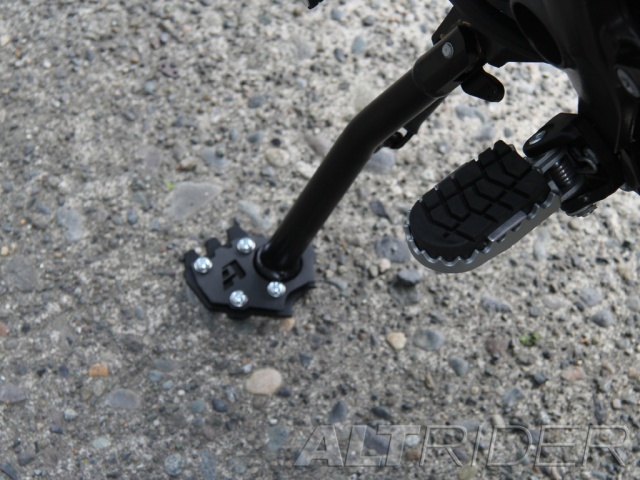 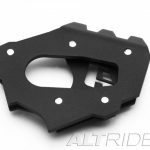 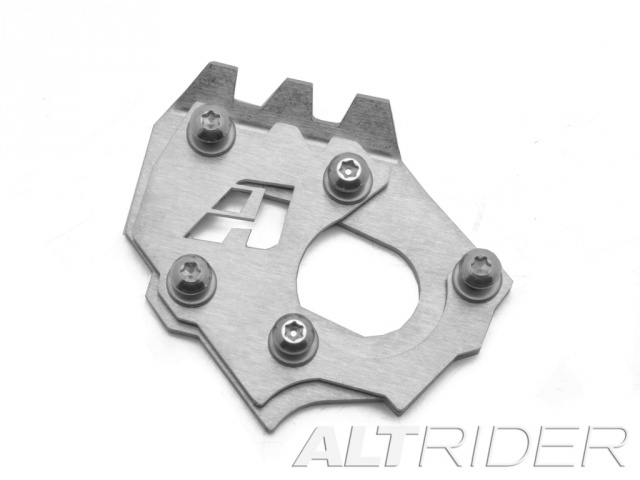 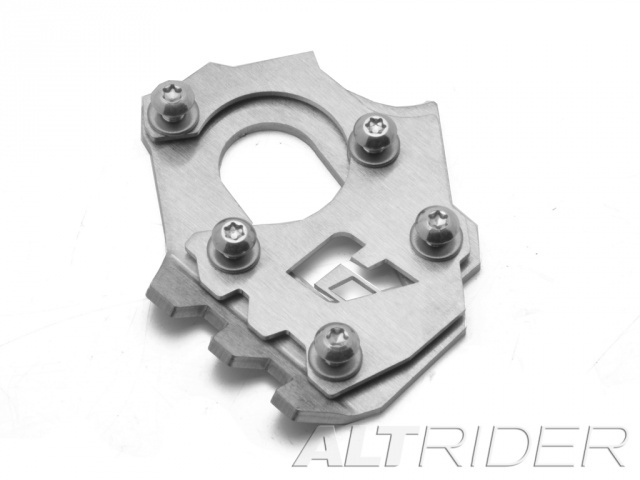 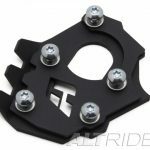 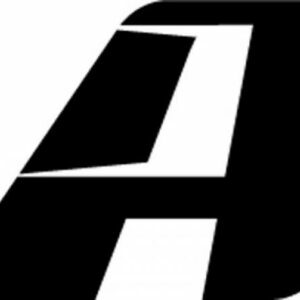 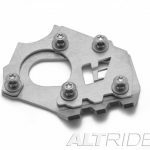 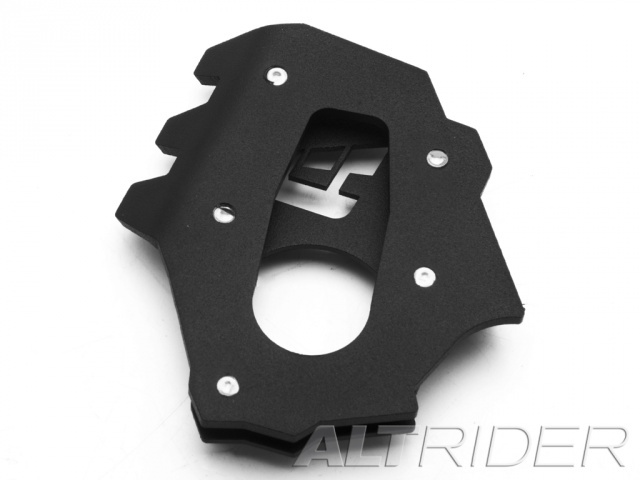 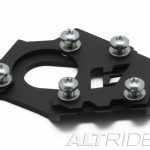 The AltRider side stand foot fully surrounds the stand, preventing it from coming loose no matter how rough the ride. 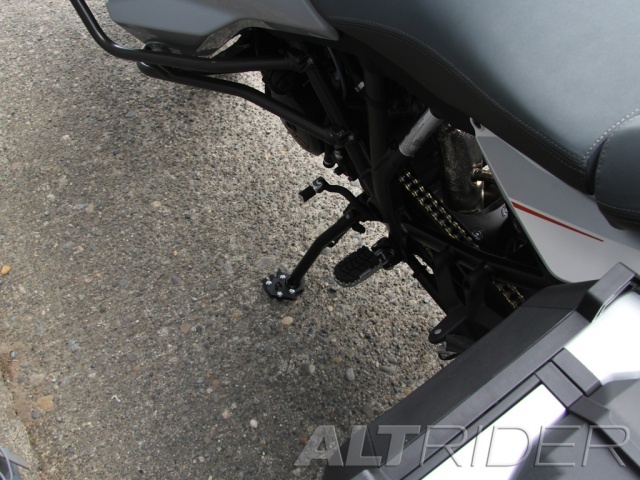 The KTM provided a unique challenge because of the thin profile of the stock stand. 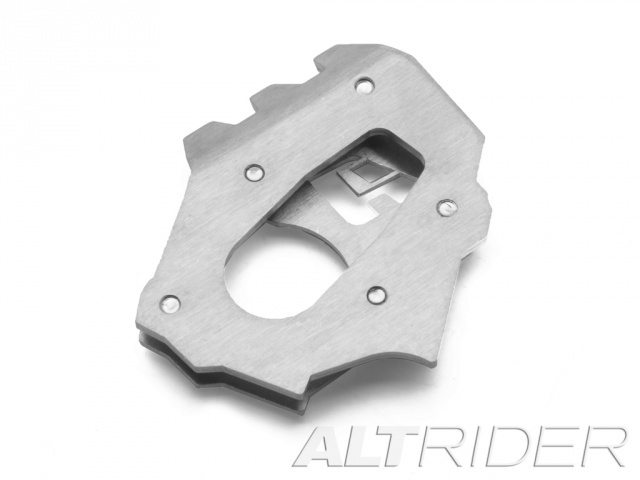 This led to a completely new 3 piece design. 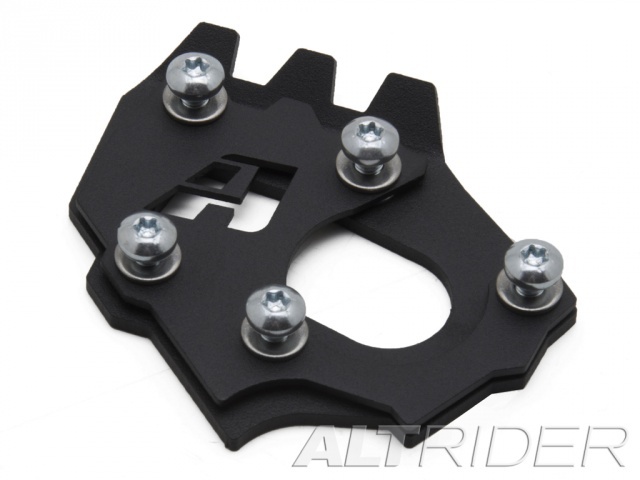 The AltRider side stand foot fully surrounds the stand, preventing it from coming loose no matter how rough the ride. 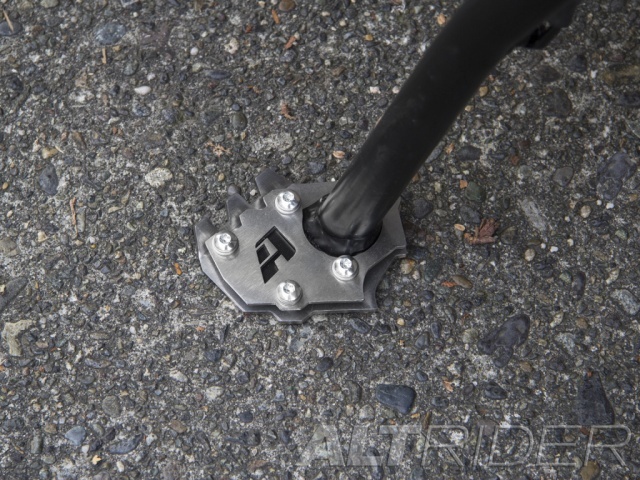 The ‘fingers’ of the upper ring grip the top of the pad, while allowing a small amount of flexibility to account for any variation in the weld bead. 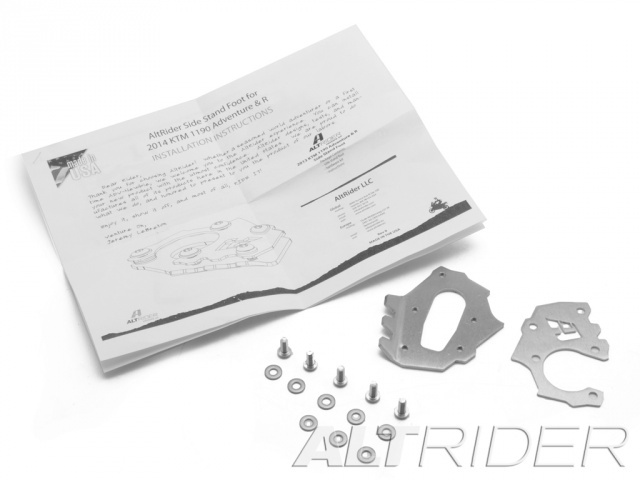 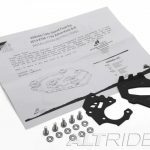 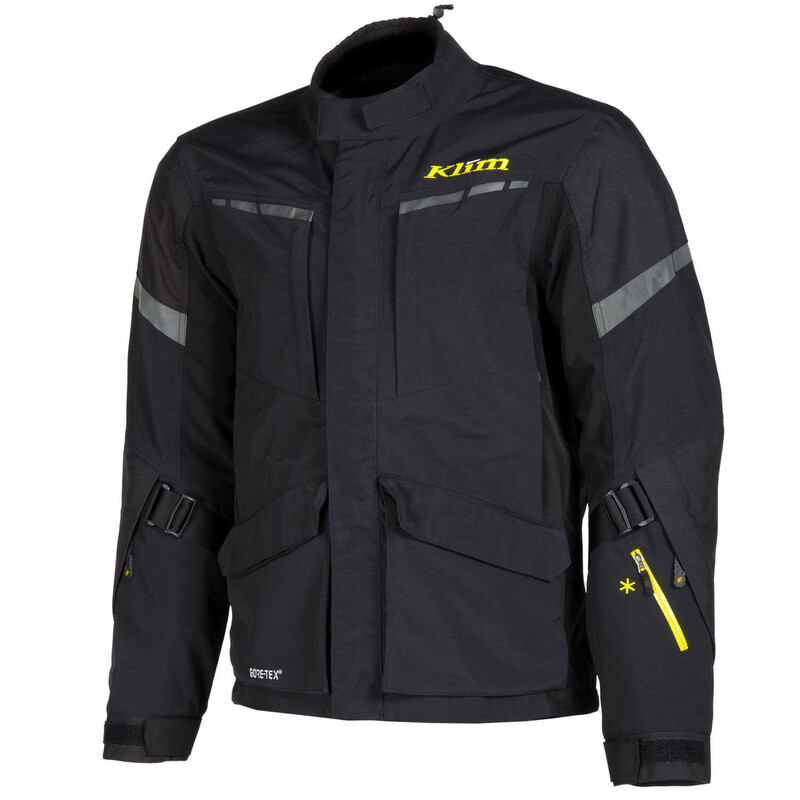 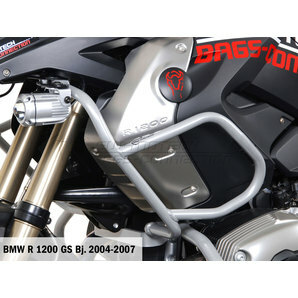 Button-top hex screws and provided Loctite fasten the 3 components together — ensuring a firm grip for worry-free riding. 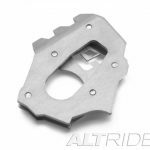 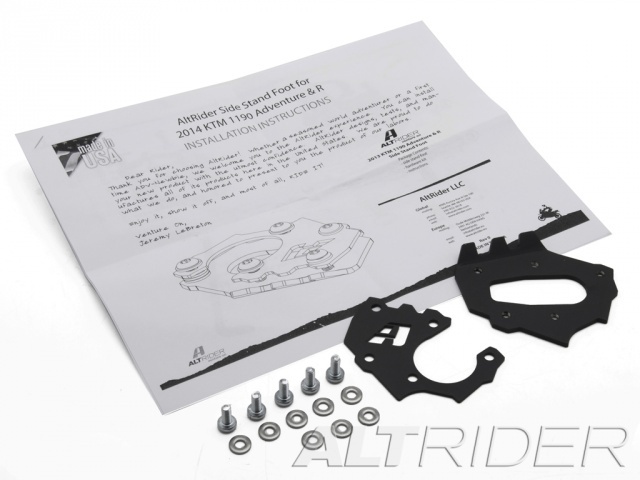 The stout bottom plate gives the hardware plenty of material to bite, preventing anything from rattling loose. 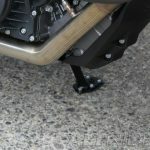 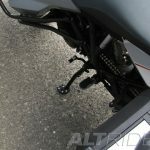 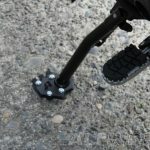 A 3D-design allows easy deployment of the side stand even while wearing boots. 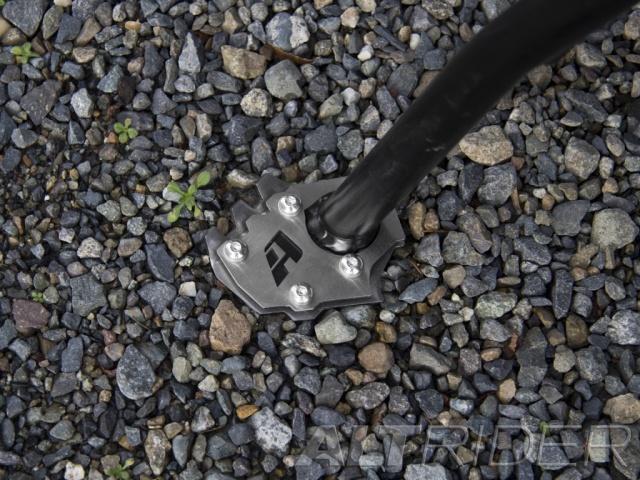 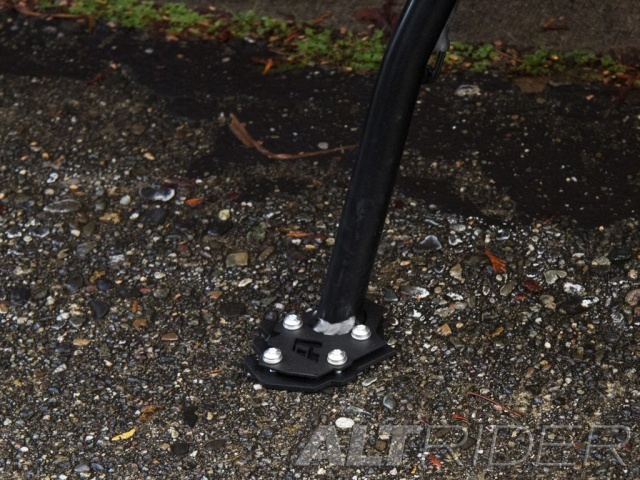 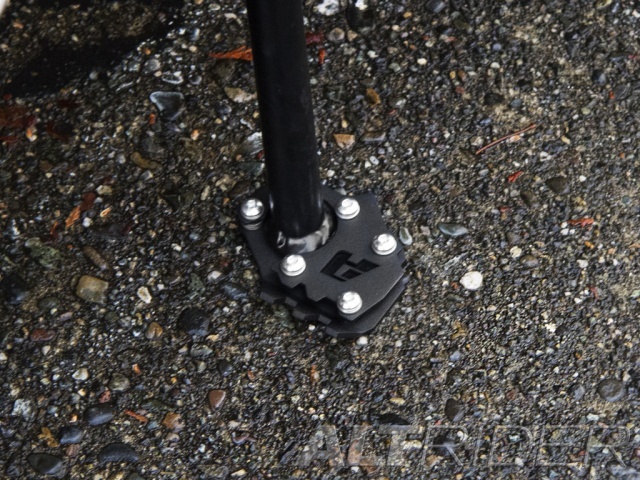 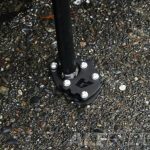 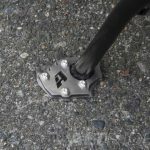 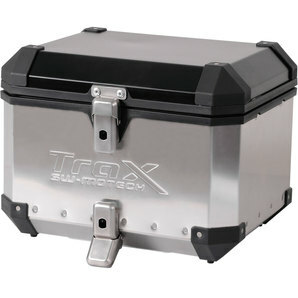 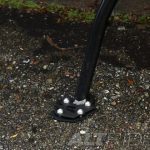 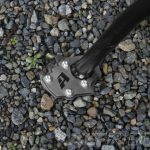 The side stand foot is constructed from durable stainless steel, and is available in raw silver or powder coat black.